5 Bedroom Detached House For Sale in Lewes for Guide Price £900,000. Substantial Brand New country home sitting in a unique gated development set in a sylvan wooded rural location. This stunning home will offer luxury living on a grand scale with ultra high tec fittings and spacious five double bedroom accommodation. Large gardens with driveway and double garage. Please contact us for further details of this high spec country home. There are four plots on this stunning development. Plot 2 - First fix is complete, Second fix currently in process. Plot 4 - Current dwelling to be demolished and a forth plot to be build. 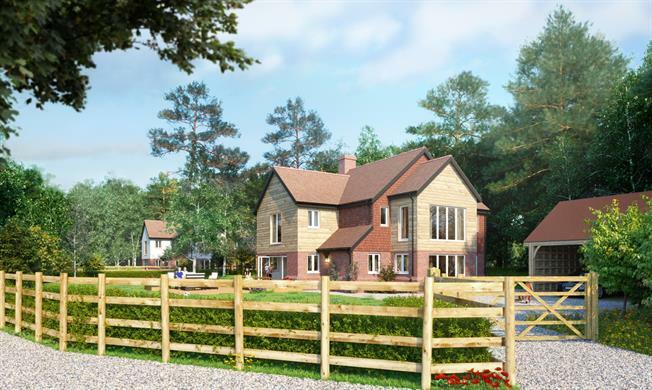 Please call 01825 766636 for more information on site layouts and details about each plot.